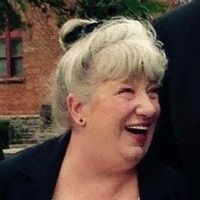 Carol Ann (Bonduelle) Thompson, 74, Sapula, OK, passed away on Tuesday, February 6, 2019 at St. John Medical Center, Tulsa, OK. Funeral services are 9 Tuesday at Our Lady of Guadalupe Catholic Church, Silvis. Entombment will be in St. Mary's Mausoleum, East Moline. Visitation is 5:30-7 PM Monday at Van Hoe Funeral Home Ltd., East Moline. Carol Bonduelle was born June 8, 1944 in Moline, the daughter of Leon and Rachel (Verhaeghe) Bonduelle. She graduated from Moline High School, Class of 1962, and an alumni of St. Ambrose University, Davenport. Her work included serving as manager of Rock Island County Abstract and Title Co., owner of a book store and as an accountant/auditor. Survivors include her son Gary “Gene” (Amy) Thompson, Sapula, OK, and her brother Jim Bonduelle, Davenport. So sorry to hear about Carols passing. Carol was a very nice quiet gal. Sad to see this news of Carol's passing. Praying for her family and friends.